The new standard trend for supercar engineers is to have a normal engine mated with a turbocharger or supercharger. Why? Both can significantly boost an engine’s horsepower without significantly increasing its weight, which is a huge benefit for supercars and that makes them so popular! Growing up, I’ve always been a car enthusiast and to this day every time I hear about turbo engines I think of the Ferrari F40, a car which defined supercars with its engaging drive and lightening pace. Quite simply, the F40 changed everything. Turbos and supercharger popularity waned since then, but now in 2014 they seem to be fighting back stronger than ever with the highly anticipated new Honda NSX, the Jaguar C-X75, the Porsche 911 turbo and the Ferrari California T.
Some may be asking how turbo’s work and what’s the difference between a turbo and supercharger? So… here on Automotive IQ we explain both these intriguing questions, so sit back and visualise the voodoo mystery. Turbochargers are a type of forced induction system where they compress the air flowing into the engine which allows the engine to squeeze more air into a cylinder, the extra air results in more fuel delivered to the engine therefore providing extra power. In order to achieve this boost, the turbocharger uses the exhaust flow from the engine to spin a ceramic turbine blade, which in turn spins an air pump. The turbine blade in the turbocharger spins at speeds of up to 150,000 rotations per minute (rpm) — that’s about 30 times faster than most car engines can go. And since it is hooked up to the exhaust, the temperatures in the turbine are also very high; explaining why almost every supercar has big air inlets to ensure the turbocharger doesn’t overheat. The difference between a turbocharger and supercharger? Superchargers like turbochargers are also called forced induction systems. Superchargers work the same way as turbos described above, but as you can tell from the name superchargers offer more power. In a supercharger, there is a belt that connects directly to the engine and receives its power the same way that the water pump or alternator does. A turbo charger on the other hand, gets its power from the exhaust and as mentioned above the exhaust runs through a turbine which generates compression. Both systems have trade-offs. 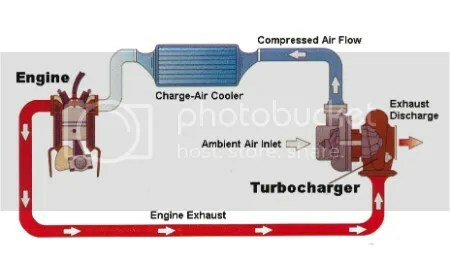 A turbocharger is more efficient because it utilises ‘wasted’ energy in the exhaust stream for its power source, however turbo chargers create back pressure in the exhaust system which creates turbo lag causing the car to bog down until the engines generates enough pressure and is running at higher rpms. Due to this turbo lag, supercars are now mating turbo’s with electric engines to compensate for any lag, so that you don’t look foolish at the lights when your car bogs down and you get overtaken by a Nissan Micra whose car insurance is definitely cheaper than yours. Superchargers generate tons of power, sounds cooler and offer a great feeling of excitement, but, and this is a big but…it all depends on how the chassis can utilise this extra power; does the car have enough grip to put the power down, or does it just spin up its wheels and/or torque steer like mad? Superchargers are easier to install and are more reliable but of course more expensive, however this may be worth it as the power is always available throughout the rev range. To conclude, supercars tend to favour turbo engines, as they are more manageable in terms of power efficiency, they are cheaper and quieter reducing noise pollution. Hypercars being so dramatic tend to favour superchargers.